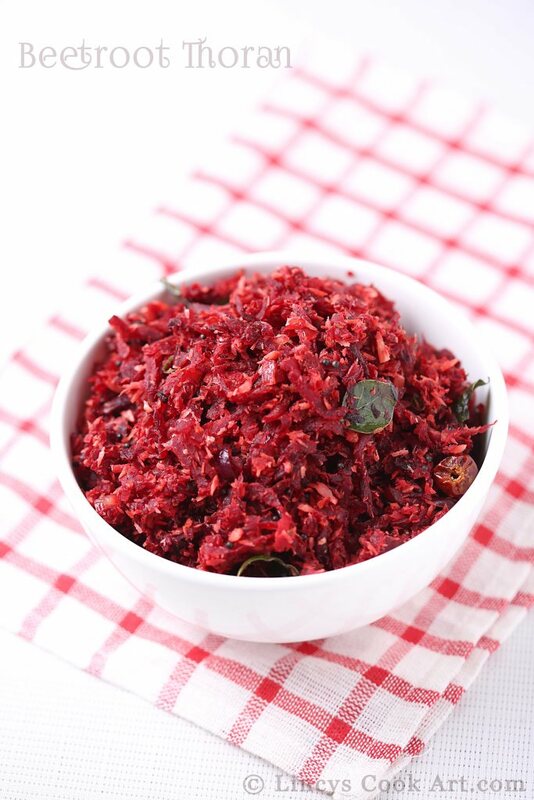 Beetroot thoran is an easy to make colourful thoran for daily lunch or even for Onam sadya menu. This is quick to make and healthy stirfry. 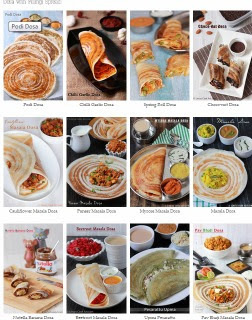 Thoran could be made in almost all the veggies, I have shared some recipes in my blog Vazakkka Thoran, Vazha koombu Thoran, Mushroom Thoran, Carrot Beans thoran, Ethakka Tholi Thoran, Kadachakka Thoran, Cabbage Masala Thoran, Vazha pindi Thoran, Broccoli Thoran..etc. Thoran and Tamil nadu Poriyal are almost similar they add jeera while tempering and chopped garlic with onion while cooking and they do not grind the coconut then add the grated coconut at the final stage. Peel and grate the beetroot. Chop the onion and green chillies; set aside. Grind the coconut, jeera and garlic together as a coarse paste without adding any water. Heat oil in a pan and splutter the mustard seeds and then add the chana dal, dry red chillies(optional) and curry leaves. Now add the chopped onion and green chillies together and cook till it becomes soft. Add the grated beetroot and some salt and stir well. Cover it with a lid and cook till the beetroot becomes soft for about 5 minutes. Now open the lid and add the coconut paste and mix well and cook till the raw smell of the garlic leaves. Serve with any curry of your choice like sambar, dal, rasam or curd. Delicious and healthy thoran, looks so inviting..